Solar energy is the oldest energy source ever used. The sun was adored by many ancient civilizations as a powerful god. The first known practical application was in drying for preserving food (Kalogirou, 2004). Probably the oldest large-scale application known to us is the burning of the Roman fleet in the bay of Syracuse by Archimedes, the Greek mathematician and philosopher (287-212 B.C.). Scientists discussed this event for centuries. From 100 B.C. to 1100 A.D., authors made reference to this event, although later it was criticized as a myth because no technology existed at that time to manufacture mirrors (Delyannis, 1967). The basic question was whether or not Archimedes knew enough about the science of optics to devise a simple way to concentrate sunlight to a point at which ships could be burned from a distance. Nevertheless, Archimedes had written a book, On Burning Mirrors (Meinel and Meinel, 1976), which is known only from references, since no copy survived. The Greek historian Plutarch (46-120 A.D.) referred to the incident, saying that the Romans, seeing that indefinite mischief overwhelmed them from no visible means, began to think they were fighting with the gods. In his book, Optics Vitelio, a Polish mathematician described the burning of the Roman fleet in detail (Delyannis and Belessiotis, 2000; Delyannis, 1967): "The burning glass of Archimedes composed of 24 mirrors, which conveyed the rays of the sun into a common focus and produced an extra degree of heat." Proclus repeated Archimedes' experiment during the Byzantine period and burned the war fleet of enemies besieging Byzance in Constantinople (Delyannis, 1967). Eighteen hundred years after Archimedes, Athanasius Kircher (1601-1680) carried out some experiments to set fire to a woodpile at a distance in order to see whether the story of Archimedes had any scientific validity, but no report of his findings survives (Meinel and Meinel, 1976). Many historians, however, believe that Archimedes did not use mirrors but the shields of soldiers, arranged in a large parabola, for focusing the sun's rays to a common point on a ship. This fact proved that solar radiation could be a powerful source of energy. Many centuries later, scientists again considered solar radiation as a source of energy, trying to convert it into a usable form for direct utilization. Amazingly, the very first applications of solar energy refer to the use of concentrating collectors, which are, by their nature (accurate shape construction) and the requirement to follow the sun, more "difficult" to apply. During the 18th century, solar furnaces capable of melting iron, copper, and other metals were being constructed of polished iron, glass lenses, and mirrors. 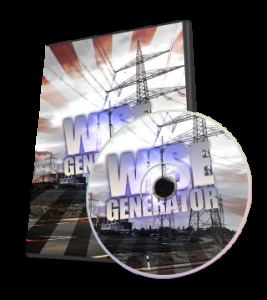 The furnaces were in use throughout Europe and the Middle East. One of the first large-scale applications was the solar furnace built by the well-known French chemist Lavoisier, who, around 1774, constructed powerful lenses to concentrate solar radiation (see Figure 1.4). This attained the remarkable temperature of 1750°C. The furnace used a 1.32 m lens plus a secondary 0.2 m lens to obtain such temperature, which turned out to be the maximum achieved for 100 years. Another application of solar energy utilization in this century was carried out by the French naturalist Boufon (1747-1748), who experimented with various devices that he described as "hot mirrors burning at long distance" (Delyannis, 2003). 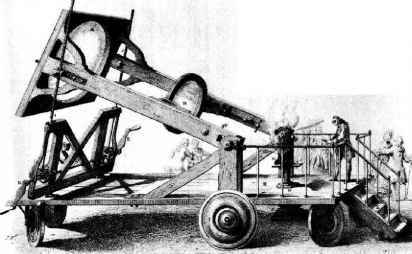 FIGURE 1.4 Solar furnace used by Lavoisier in 1774. FIGURE 1.5 Parabolic collector powering a printing press at the 1878 Paris Exposition. During the 19th century, attempts were made to convert solar energy into other forms based upon the generation of low-pressure steam to operate steam engines. August Monchot pioneered this field by constructing and operating several solar-powered steam engines between the years 1864 and 1878 in Europe and North Africa. One of them was presented at the 1878 International Exhibition in Paris (see Figure 1.5). The solar energy gained was used to produce steam to drive a printing machine (Mouchot, 1878; 1880). Evaluation of one built at Tours by the French government showed that it was too expensive to be considered feasible. Another one was set up in Algeria. In 1875, Mouchot made a notable advance in solar collector design by making one in the form of a truncated cone reflector. Mouchot's collector consisted of silver-plated metal plates and had a diameter of 5.4 m and a collecting area of 18.6 m2. The moving parts weighed 1400kg. Abel Pifre, a contemporary of Mouchot, also made solar engines (Meinel and Meinel, 1976; Kreider and Kreith, 1977). Pifre's solar collectors were parabolic reflectors made of very small mirrors. In shape they looked rather similar to Mouchot's truncated cones. The efforts were continued in the United States, where John Ericsson, an American engineer, developed the first steam engine driven directly by solar energy. Ericsson built eight systems that had parabolic troughs by using either water or air as the working medium (Jordan and Ibele, 1956). In 1901 A. G. Eneas installed a 10 m diameter focusing collector that powered a water-pumping apparatus at a California farm. The device consisted of a large umbrella-like structure open and inverted at an angle to receive the full effect of the sun's rays on the 1788 mirrors that lined the inside surface. The sun's rays were concentrated at a focal point where the boiler was located. Water within the boiler was heated to produce steam, which in turn powered a conventional compound engine and centrifugal pump (Kreith and Kreider, 1978). In 1904, a Portuguese priest, Father Himalaya, constructed a large solar furnace. This was exhibited at the St. Louis World's Fair. This furnace appeared quite modern in structure, being a large, off-axis, parabolic horn collector (Meinel and Meinel, 1976). In 1912, Frank Shuman, in collaboration with C. V. Boys, undertook to build the world's largest pumping plant in Meadi, Egypt. The system was placed in operation in 1913, using long parabolic cylinders to focus sunlight onto a long absorbing tube. Each cylinder was 62 m long, and the total area of the several banks of cylinders was 1200 m2. The solar engine developed as much as 37 to 45 kW continuously for a five-hour period (Kreith and Kreider, 1978). Despite the plant's success, it was completely shut down in 1915 due to the onset of World War I and cheaper fuel prices. During the last 50 years, many variations were designed and constructed using focusing collectors as a means of heating the transfer of working fluid that powered mechanical equipment. The two primary solar technologies used are central receivers and distributed receivers employing various point and line focus optics to concentrate sunlight. Central receiver systems use fields of heliostats (two-axis tracking mirrors) to focus the sun's radiant energy onto a single tower-mounted receiver (SERI, 1987). 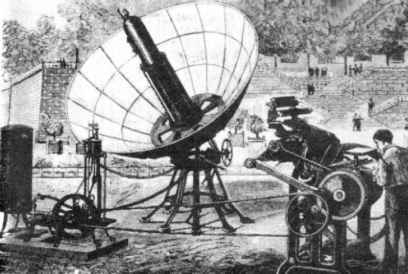 Distributed receiver technology includes parabolic dishes, Fresnel lenses, parabolic troughs, and special bowls. Parabolic dishes track the sun in two axes and use mirrors to focus radiant energy onto a point focus receiver. Troughs and bowls are line focus tracking reflectors that concentrate sunlight onto receiver tubes along their focal lines. Receiver temperatures range from 100°C in low-temperature troughs to close to 1500°C in dish and central receiver systems (SERI, 1987). Today, many large solar plants have output in the megawatt range to produce electricity or process heat. The first commercial solar plant was installed in Albuquerque, New Mexico, in 1979. It consisted of 220 heliostats and had an output of 5 MW. The second was erected at Barstow, California, with a total thermal output of 35 MW. Most of the solar plants produce electricity or process heat for industrial use and they provide superheated steam of 673 K. Thus, they can provide electricity or steam to drive small-capacity conventional desalination plants driven by thermal or electrical energy. Another area of interest, hot water and house heating, appeared in the mid-1930s but gained interest in the last half of the 1940s. Until then, millions of houses were heated by coal-burning boilers. The idea was to heat water and feed it to the radiator system that was already installed. The manufacture of solar water heaters began in the early 1960s. 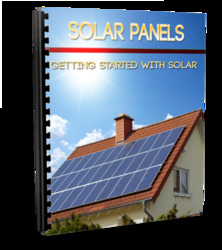 The industry of solar water heater manufacturing expanded very quickly in many countries of the world. Typical solar water heaters in many cases are of the thermosiphon type and consist of two flat-plate solar collectors having an absorber area between 3 and 4 m2 and a storage tank with capacity between 150 and 180 liters, all installed on a suitable frame. An auxiliary electric immersion heater or a heat exchanger, for central heating-assisted hot water production, are used in winter during periods of low solar insolation. Another important type of solar water heater is the forced circulation type. In this system, only the solar panels are visible on the roof, the hot water storage tank is located indoors in a plant room, and the system is completed with piping, a pump, and a differential thermostat. Obviously, this type is more appealing, mainly for architectural and aesthetic reasons, but it is also more expensive, especially for small installations (Kalogirou, 1997). More details on these systems are given in Chapter 5. How to make inverted silver cone reflector?